LionsDeal > Cookware > Pots & Pans >< Copper Cookware > Bon Chef 60310-Copper Country French Mini Pot, 8 oz. 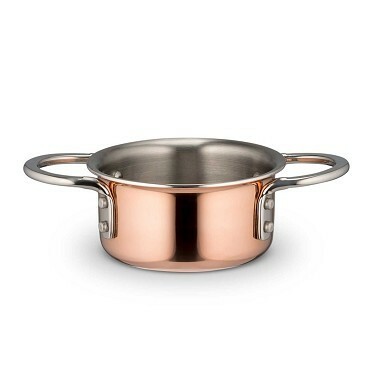 Bon Chef 60310-Copper Country French Mini Pot, 8 oz. You must buy a minimum of 4 packs at a time.